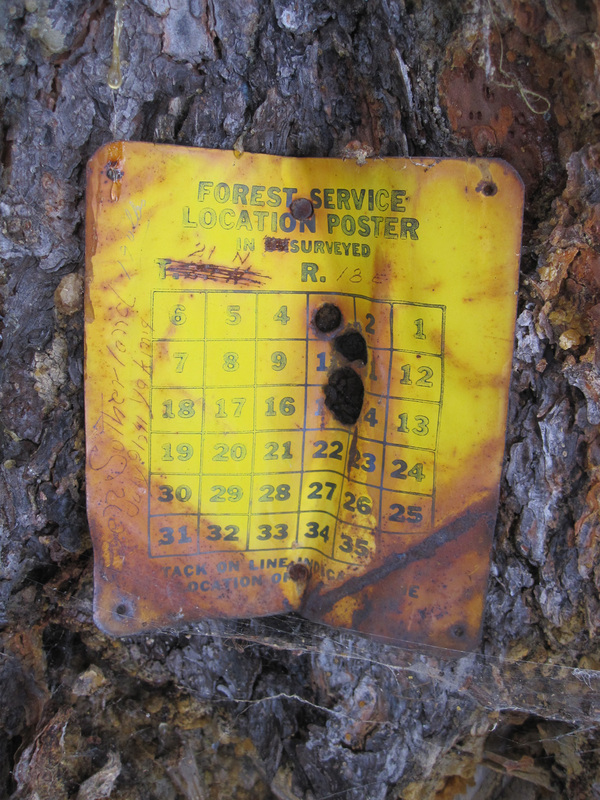 Found yesterday on a magnificent ponderosa pine near Tronsen Meadow. Etched into metal: Ben Sutherland, Yakima. July 9, 1941. Township 21 North, Range 18, East. Bullet holes obscure the section, but I looked it up–section line between 3 and 10. I was 3 years away from being born…. wowhhhh I get this feeling of awe when we find something aged… a hand scythe someone tossed over a young tree crotch and it’s now absorbed into an old tree with nary a field in sight… stuff and things… like that. Very cool ! …so love the connection to past generations!